Below compares the top health insurance companies in Australia by each policy group. Overseas visitors looking to work within Australia are required to meet condition 8501. This condition states that you must have adequate health insurance that meets the Australian governments minimum standard for overseas workers. This is often termed “457 visa health insurance” or “485 visa health insurance”. HIF is a ‘not for profit’ Western Australian health insurance company. As a not-for-profit, they have the ability to offer low cost policy options and have one of the cheapest 457 visa health insurance policies in Australia. Their policy only offers shared accommodation in public hospitals but with zero excess. Frank offers the cheapest 457 visa health insurance that includes private hospital cover. The disadvantage of this policy over HIF is that you need to pay an excess if you do need to get treated in a hospital but for many individuals, couples and families this is a small price to pay to get the facilities and privacy you may require. IMAN is subsidiary of nib, a Newcastle (NSW) based company that is listed on the Australian Stock Exchange. IMAN is a specialist in the overseas visitor health insurance space offering affordable Australian health insurance. Previously owned by the government, Medibank is now (like nib) listed on the Australian Stock Exchange. This is Australia’s largest insurer but their market share in the 457 visa health insurance market is smaller partly due to their higher prices compared to other key players. Allianz is relativity new to overseas visitor health insurance having previously only offered student health insurance. Their focus is on the 485 visa health insurance market as their student policy holders may choose to remain in Australia to work under the graduate visa scheme. BUPA (originally, the British United Provident Association) is a global health fund that acquired three health insurance companies in Australia (MBF, HBA & Mutual Community) to become the second largest in Australia. They attract many UK citizens for move to Australia as they are familiar to the brand and are willing to overlook their premium pricing strategy. 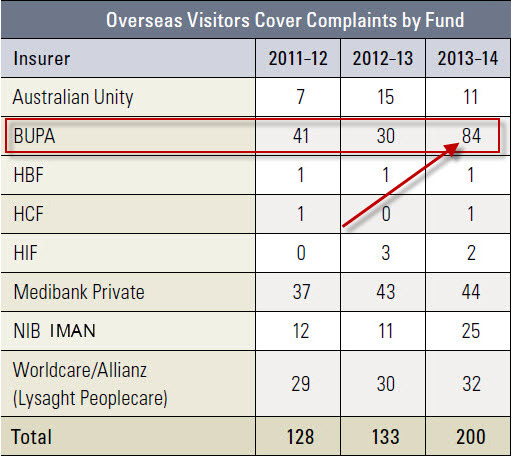 They also received the most complaints in 2013-14 as the table below shows. Australian Unity is one of the oldest and largest companies in Australia with a diverse range of financial products including health insurance. They have a simplified pricing policy for 457 visa health insurance. Like HIF, HBF is a Western Australian health fund more known for its permanent health insurance policies rather then its overseas visitor health cover options. Overseas students studding in Australia are required to have overseas student health cover (OSHC). There are only five players in this space. nib is one of the largest OSHC providers with a low priced policies that have strong benefits for members. The company is ‘for profit’ and listed on the Australian stock exchange. AHM is owned by Medibank and focuses on the cheap OSHC segment of the market. They have the cheapest OSHC policy as the table above highlights. Allianz has the most expensive OSHC policy and had strong relationships with many Australian universities who on-sell or recommend their product (which means the students don’t compare the policies). Medibank has recently floated in 2014 and was formally owned by the government. In the OSHC space they use their sister brand (AHM) to target those looking for cheap OSHC while Medibank offers a more premium policy option and price. BUPA is a global health insurance company offering mid-priced OSHC policies to the Australian market and has a wide range of partnered hospitals in Australia. Australian residents are spoiled for choice when it comes to Health Insurance Companies in Australia. The table below shows the complete list of these funds. 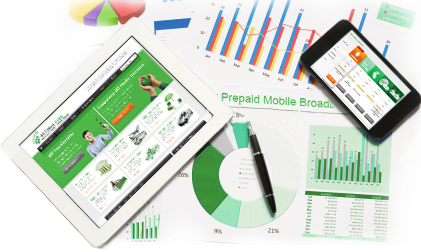 There are two key dimensions when it comes to Health Insurance companies in Australia. Historically, most health funds were not-for-profit and were designed to service members in an industry (such a coal miners). 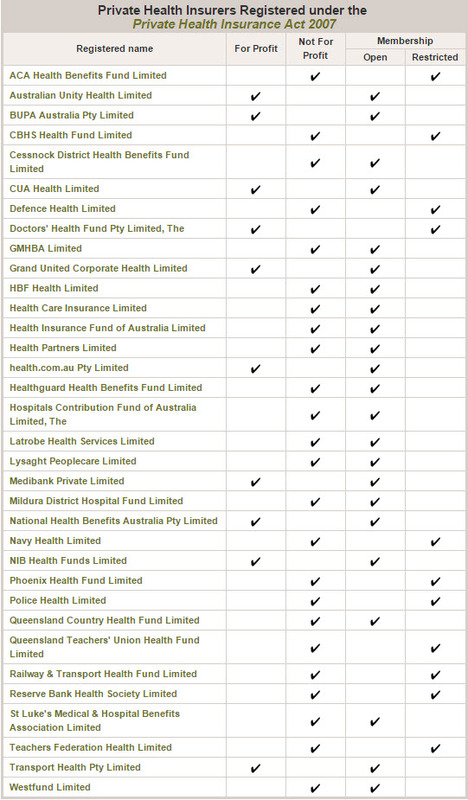 Over the years some of these Australian health funds have been purchased by private companies or have floated on the stock exchange. Many Australians prefer to choose a ‘not for profit’ as all the money raised goes toward reducing premium prices or maximising claim benefits. In many cases this results in them having lower premium prices and patients getting back more when they make a claim. Generally ‘for profits’ are larger in Australia and have scale when it comes to the delivery of services nationwide. They are more recognised for more Australians due to their larger marketing and advertising budgets. Some health funds will only allow certain individuals to join their fund. For example, the Teachers Federation Health Limited requires you to work within the education sector to join their fund. Just because your eligible to join a restricted fund doesn’t mean the policy will cheaper or better value for your circumstance so it’s still worth comparing all the Australian policies before you join.